Coo-Var Profloor Anti-Slip Aggregate Option should be evenly scattered over the first coat of Coo-Var Profloor 2 Pack Epoxy Floor Paint whilst the coat is still tacky. The second coat of profloor, when applied over the top of the cured first coat will seal the anti-slip aggregate in place. 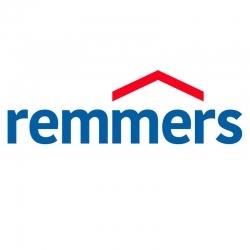 Remmers Accelerator D40 is a single component liquid catalyst used to reduce the cure period of the PUR Indu Color D40. This enables faster installation of the car park and balcony decking membrane system as well as localised remedial works to be carried out in short period of time. Smartkote Protectakote Accelerator is a pure, solvent free catalyst used to speed up the drying time of Protectakote non-slip and smooth coatings. 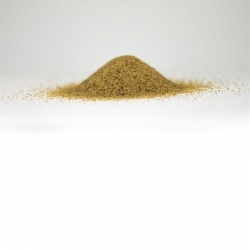 Pre-weighed – just add and stir in, long pot life, drying times can be reduced to as little as one hour, humidity and low temperature effects which extend drying times can be reduced. 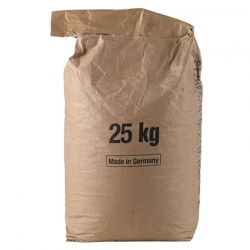 Sika Quartz Sand is a light coloured kiln dried graded quartz sand for use with Sika coatings and membranes to provide a mechanical key for subsequent levelling materials. 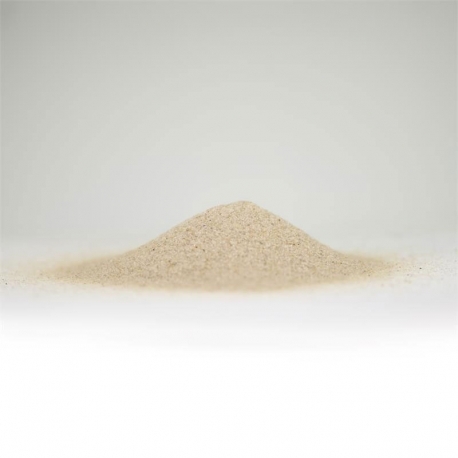 Sika Quartz Sand can also be used to bulk out certain Sika screeds and mortars as well as being used as an anti-slip additive. Smartkote Protectakote UVR Accelerator is a liquid second component which may be added to ProtectaKote UVR if desired to increase the rate at which the product cures at low temperatures or humidity. 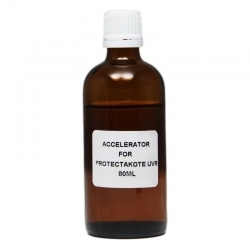 Protefctakote UVR Accelerator is not intended for use at normal room temperatures. Sikafloor Comfort Regupol 4580 is a polyurethane rebound foam shockpad which is part of the Sika ComfortFloor Decorative Pro system. 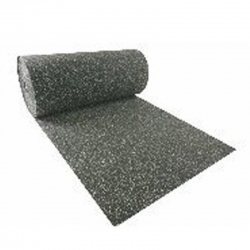 Sikafloor Comfort Regupol 4580 is a prefabricated shockpad produced by bonding polyether-foam crump and fine rubber-dust with a polyurethane compound. Sika Extender T is an inert, fine, white, fibrous polymer powder used as a thickening agent for certain Sika coating systems. 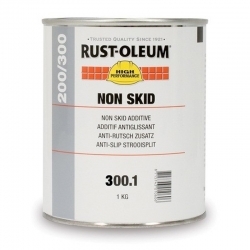 It can be used in combination with Sika Epoxy, Polyurethane and MMA systems. 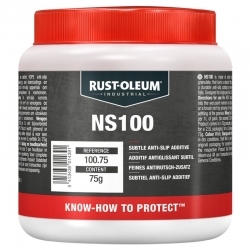 Rust-Oleum Non-Skid Additive NS 300 is based on thermally split flint stones and is intended to be added to floor coatings to produce a non-skid surface. 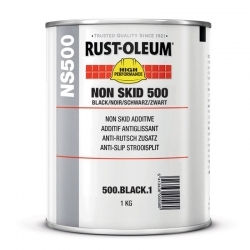 Can be mixed with the required Rust-Oleum coating system or can be sprinkled into the freshly applied coating manually or with special low pressure spraying equipment. 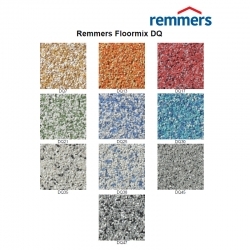 Remmers Floormix DQ Aggregate is a special blend of graded decorative colour quartz aggregate for the production of epoxy mortar screeds. Can be laid at 3 - 4mm and available in a wide range of colour blends. 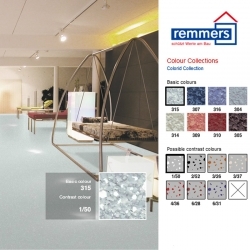 Blend with any of the Remmers epoxy resins as a binder. 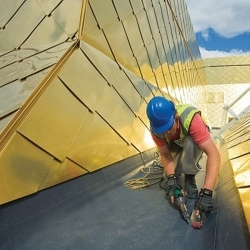 Sika PU Accelerator is a catalyst designed to increase the cure rate of Sikalastic products and Sikafloor products to facilitate a faster application and reduce downtime in areas where a rapid return to service is required. 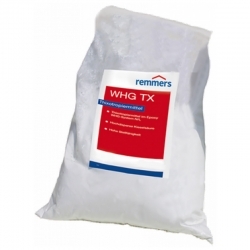 Remmers QP CAT is an accelerant catalyst in the Remmers QP System providing acceleration of hardening.